JD Gurukul is one of Education Joomla template best suitable for school and educational institutes. 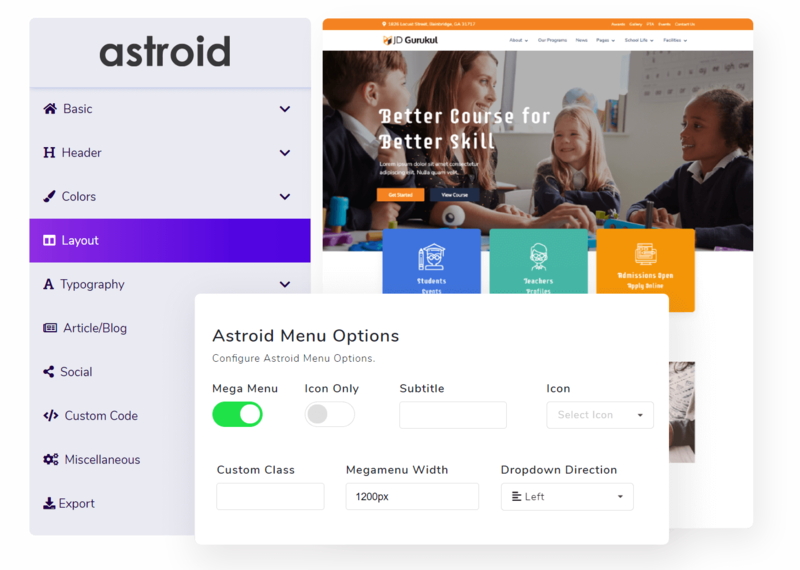 It is powered with Astroid Framework which makes it easy to customize and manage. So if you are looking for a template for your school website, JD Gurukul is the best choice for you. Now creating an amazing school website with this Joomla school template is a piece of cake. This template has each and everything you need to set up your school website from your staff showcase to the bell schedule and houses showcase. You just need to replace the dummy content with your content and you are done with creating a responsive website. This school Joomla template is designed with HTML5 and CSS3 which will enhance the beauty of your Joomla school website. Images are an integral part of any school website and we have integrated a fully responsive image gallery within this school Joomla template. 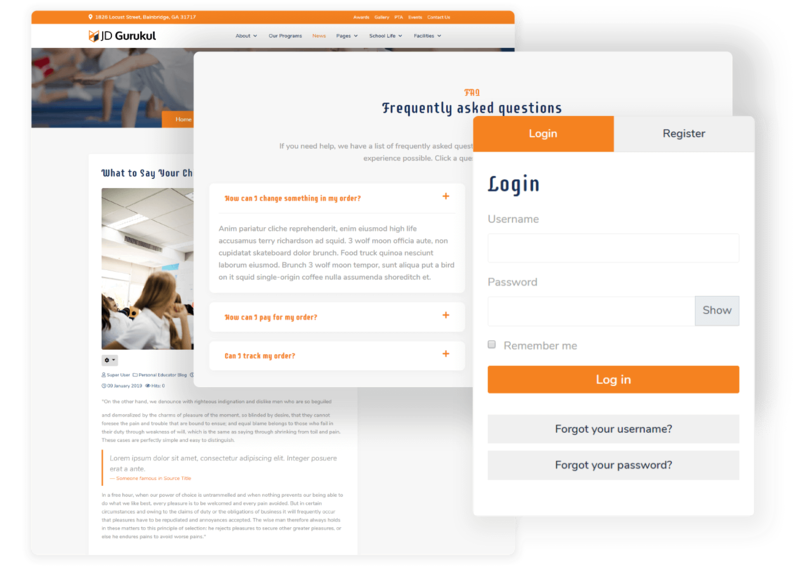 By displaying details of your school’s staff members on your website you can increase the trust factor among the newcomers and guardians.